It's Robert the Bruce as you've never seen him before. Robert the Bruce, a medieval warrior and hero-king of the Scottish people, is something of an enigma. While his exploits in battle against both domestic rivals and British occupiers have been well-documented, descriptions of his physical appearance have long been lost to history. But thanks to a collaborative effort between researchers at the University of Glasgow and Liverpool John Moores University (LJMU), we may finally know what he looked like. The research team, led by University of Glasgow professor, Dr. Martin MacGregor, based its CGI reconstruction on a skull cast from the Hunterian Museum at London's Royal College of Surgeons. This skull purportedly once belonged to Robert the Bruce. "The skull was excavated in 1818-19 from a grave in Dunfermline Abbey, mausoleum of Scotland's medieval monarchs," Dr MacGregor explained in a statement. "After the excavation the original skeleton and skull were sealed in pitch and reburied, but not before a cast of the head was taken." Using this cast, the researchers were able to accurately reconstruct both the muscle structure and determine the overlying facial features -- much like the LJMU team did when English King Richard III's skull was discovered under a parking lot in 2012. Unfortunately, since the teams were working with a cast rather than the actual bone itself, they could not extract DNA from it to establish hair, eye or skin color. Still, this is the most "realistic appearance of Robert the Bruce to-date, based on all the skeletal and historical material available," according to Professor Caroline Wilkinson, Director of LJMU's Face Lab. 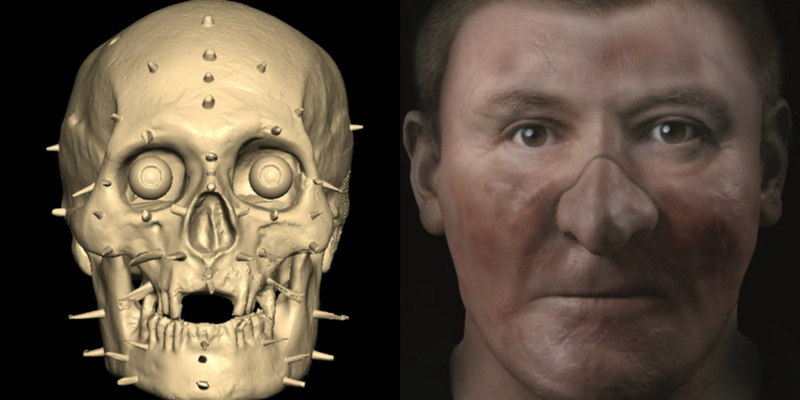 "There have also been a number of advances in facial reconstruction techniques since previous depictions of this Scottish hero, including better facial feature prediction and more advanced CGI." The reconstruction shows that Robert the Bruce would have been a powerfully-built man but not altogether healthy. 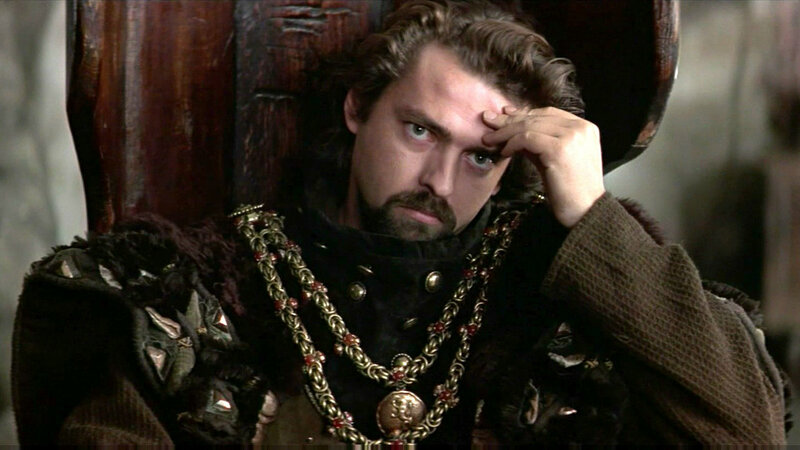 Historians have long suspected that Robert suffered a chronic ailment, possibly leprosy, given the disfigurement to the cast's the upper jaw and nose. So, the research team worked that affliction into their CGI reconstruction as well. "The case of Richard III revealed how far the technology had advanced," Dr. MacGregor explained. "I saw an opportunity to apply the technology to the Hunterian skull held here at Glasgow: first to test the credibility of its connection to Bruce, and then to try to add to our knowledge of Scotland's greatest king."